JACK Electric Scooter production delayed? The much-anticipated JACK electric scooter appears to have been delayed again. We have been enthusiastically following the production developments of the JACK in hopes to get our hands on a unit once it hits production. We first introduced the JACK on our blog in September last year, expecting it to be released around that period. However it seems to have faced various delays and our most recent check on their website now states an expected release date of October 2014. This is a common problem faced by hardware startups. The leap from prototype stage to production stage is a huge one and requires iterative redesigns and tweaks which can take many months. We hope JACK will be able to achieve their milestone of getting out their first production unit by end of this year. While we are crossing our fingers in eager anticipation, our realistic expectations put it at arriving in Singapore in December ‘14 or maybe early 2015. We will definitely get a review out by then. 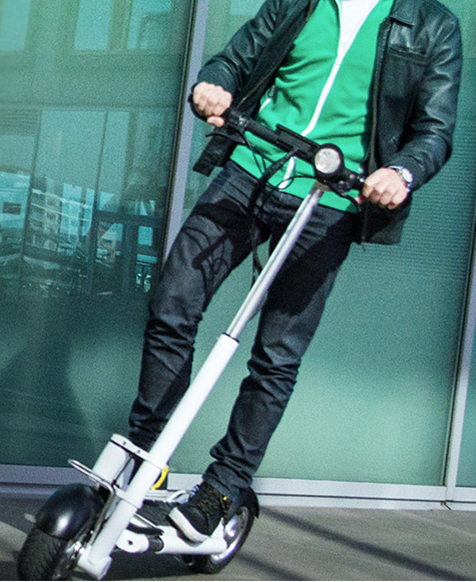 The JACK was designed and built to be in the same class of e-scooters as the MYWAY. However, the MYWAY’s one year head-start in the global market may leave the JACK with a lot of lost ground to cover. For further updates on the JACK scooter, please visit JACK Scooter Singapore. Our original post of the JACK can be found here.